Just trying to wire up my beetle weight and am confused. Does the battery just go into the receiver via the BEC or does it have to connect to the speed control or servo?? Also where does the removable link / LED have to go?? Does the battery just go into the receiver via the BEC or does it have to connect to the speed control or servo?? I don't think you need the BEC in this instance but you will need to check the VEXs to see if they have a BEC in them (I think they do). You'd wire the battery to the ESCs (speed controller) and then connect the JR signal wires from the ESCs to the receiver. The servo is powered from the receiver. However, take the above with a pinch of salt, I've not used separate BECs before. Also where does the removable link / LED have to go?? 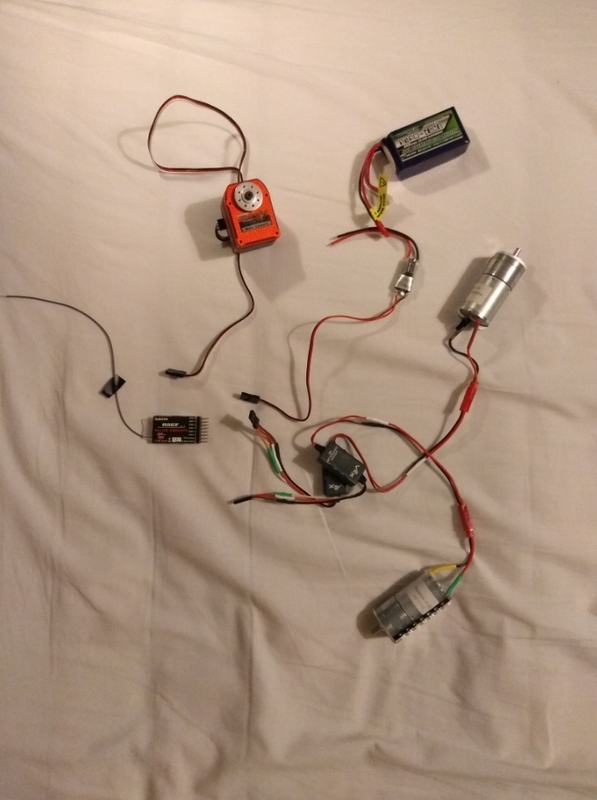 I tend to put the removable link (and the fuse, which is mandatory if you are using a LiPo but good practice regardless of chemistry) on the positive wire in between the battery and the speed controllers. The LED would be just after the removable link. I have a very rough diagram available from a PDF I am putting together on such things.